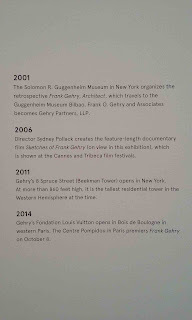 When the massive Frank Gehry retrospective opened at the Centre Pompidou in Paris in 2014, Los Angeles Times critic Christopher Hawthorne suggested the exhibit drew a "sociological blank," as it omitted controversy, including "the political uproar that greeted his plan, sponsored by Bruce Ratner, to drop more than a dozen separate buildings and an NBA area into the middle of Brooklyn." After observing the re-mounted and expanded retrospective (open through March 20) at the Los Angeles County Museum of Art, and perusing the accompanying 2015 book, Frank Gehry, I'm afraid that Gehry's Atlantic Yards (mis)adventure is even more ill-treated. 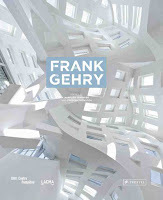 Sure, it's but one episode in Gehry's vast, mostly lauded career, one that went unnoticed in recent reviews. But the failure to describe Atlantic Yards clearly thus obscures the mutually beneficial relationship between architects and real estate/political officials that helps gets projects built, especially in cities like New York. 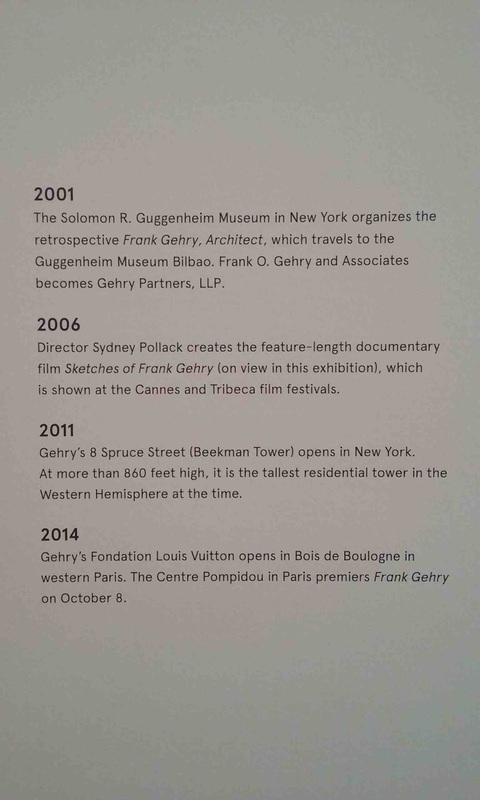 First, Atlantic Yards--announced in 2003--goes unmentioned in the exhibit chronology, which skips from Gehry's 2001 Guggenheim exhibition to Sydney Pollack's 2006 documentary film, finally mentioning Gehry's 8 Spruce Street tower in Lower Manhattan, which opened in 2011. 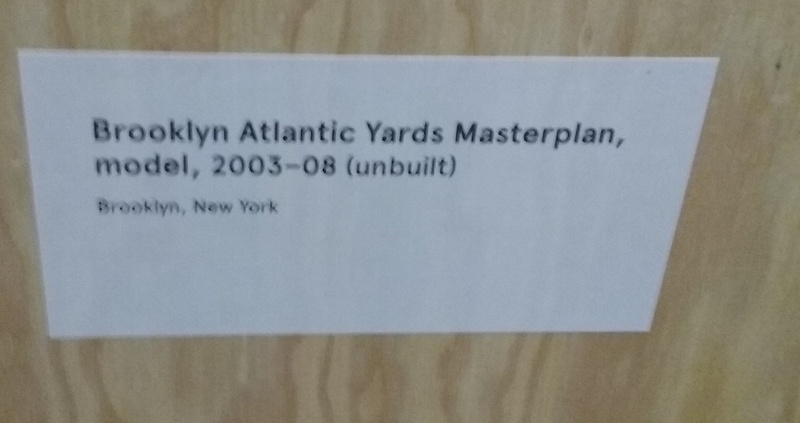 Approaching the model of the 16-building project, even the caption attached--"Brooklyn Atlantic Yards Masterplan, model, 2003-2008 (unbuilt)"--is insufficient. 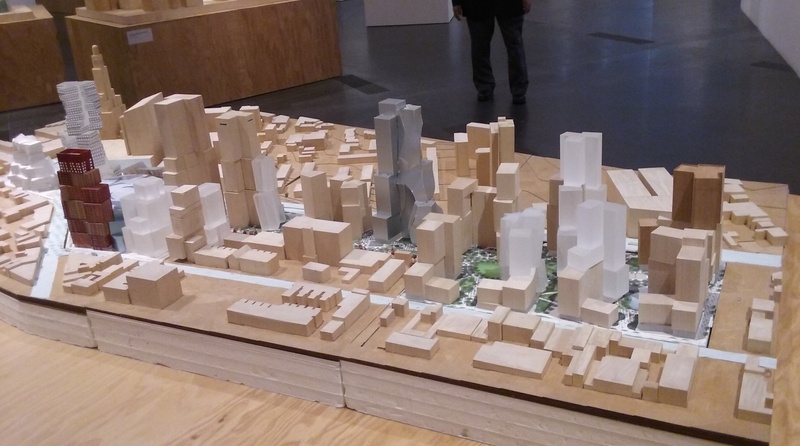 But Gehry's plan, indeed, had been approved in 2006, involving a significant override of city zoning by the Empire State Development Corporation, the state agency overseeing and shepherding the project. Today, the 22-acre project--renamed Pacific Park in 2014--is being built out at the approved 8 million square feet, a huge change in scale, especially when approaching the site from the residential blocks to the south and east. Gehry got results. The presence of a world-famous architect helped neutralize resistance to Ratner's massive plan, which also involved significant public assistance (subsidies, tax breaks, low-cost land) and the state's use of eminent domain in a gentrifying neighborhood. As I've noted, the model shows a new--and, obviously--scrapped version of the tower at Site 5, the current home of low-rise Modell's and P.C. Richard. It shows the B1 office tower, currently on hold, as well as designs for five towers. The accompanying book, by the Pompidou's Frédéric Migayrou and Aurélien Lemonier, muddies the project's history. Two scales are combined here: that of a growing need for housing and offices for the city of New York, and that of the renovation of the Atlantic Yards sector in Brooklyn. The proximity of one of the hubs to the metropolitan transit system at Atlantic Terminal allowed the neighborhood to be easily accessed. 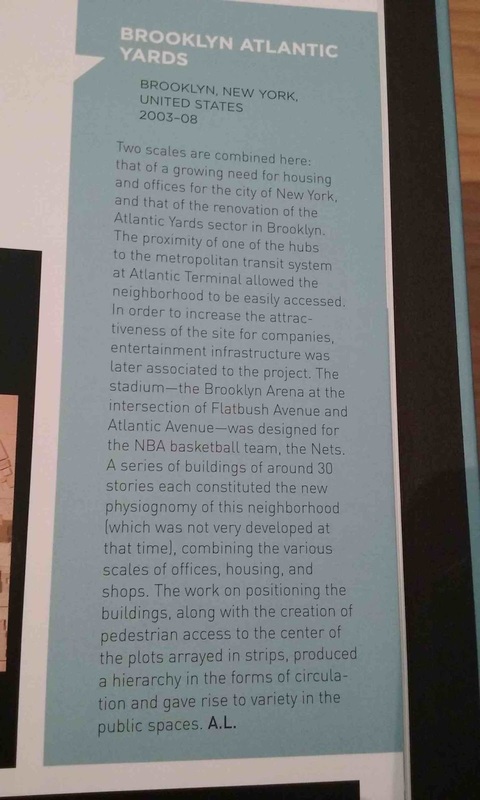 In order to increase the attractiveness of the site for companies, entertainment infrastructure was later associated to the project The stadium--the Brooklyn Arena at the intersection of Flatbush Avenue and Atlantic Avenue--was designed for the NBA basketball team, the Nets. A series of buildings of around 30 stories each constituted the new physiognomy of this neighborhood (which was not very developed at that time), combining the various scales of offices, housing, and shops. The work on positioning the buildings, along with the creation of pedestrian access to the center of the plots arrayed in strips, produced a hierarchy in the forms of circulation and gave rise to variety in the public spaces. The "growing need for housing and offices"? 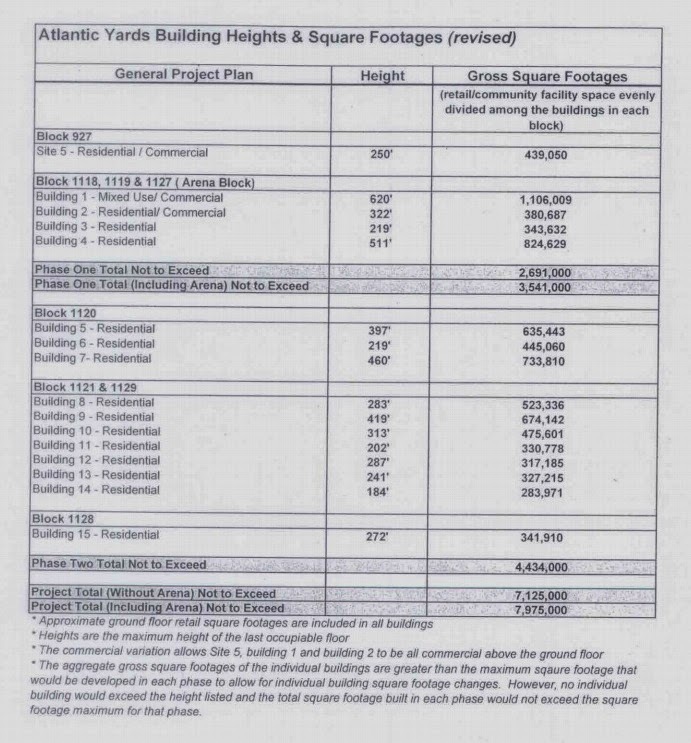 Well, Atlantic Yards, upon launch, was promoted as "Jobs, Housing, and Hoops," but most of the promised 10,000 office jobs were quickly swapped for condos. In other words, the developer and city had misread the need for offices. The "Atlantic Yards sector of Brooklyn"? There was never such thing. 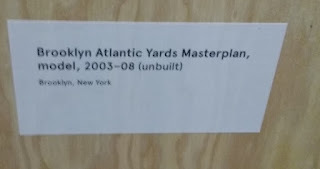 "Atlantic Yards" was a brand name conceived by Ratner's firm, cleverly yoking privately-owned land and city streets to an 8.5-acre railyard, not a cohesive location. The association of the project site with the railyard, formally known as the Vanderbilt Yard, obscured the need for eminent domain. Nor could there still be an "Atlantic Yards sector," since the name vanished in 2014 after Ratner acquired a new joint venture partner/overseer, the Shanghai government-owned Greenland Group. Was "entertainment infrastructure was later associated with the project"? Hello, the arena--built to house sporting events, concerts, and family shows--was from the start used to leverage Ratner's pursuit of the larger site. 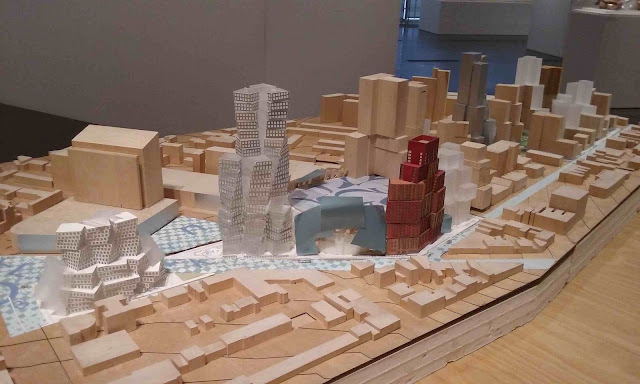 A "series of buildings of around 30 stories each"? Actually, the buildings on the southern flank of the site are generally smaller--a few about 20 stories--while the tallest exceed 50 stories. Gehry, to his credit, tried to punctuate the skyline rather than create a monolithic project. If it was "not very developed," it was undergoing change. Blocks in the site included handsome row houses and three former industrial buildings rehabbed as condominiums and office space, and, yes, fallow buildings and empty lots. Ratner cleverly proposed a project just before public officials and neighborhood activists began to grapple with rezonings and/or the sale of railyard development rights. Finally, regarding pedestrian access, the Atlantic Yards design was widely criticized (including by the Municipal Art Society) for demapping a major street at the center of the eastern segment and providing enclave-like open space mainly aimed at residents, rather than the public at large. Today, Greenland Forest City Partners misleadingly proclaims the open space a "park." In 2005 Gehry said that typically he would have brought in "five other architects" to work on such a large project, but his client Ratner required him to design it all. Today, four firms [SHoP, CookFox, KPF, Marvel] are working on six towers, and a fifth firm [Ellerbe Becket] collaborated on the arena. 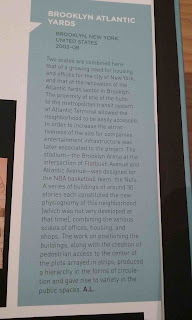 But Gehry's Atlantic Yards master plan was far more of a success than the exhibit suggests. 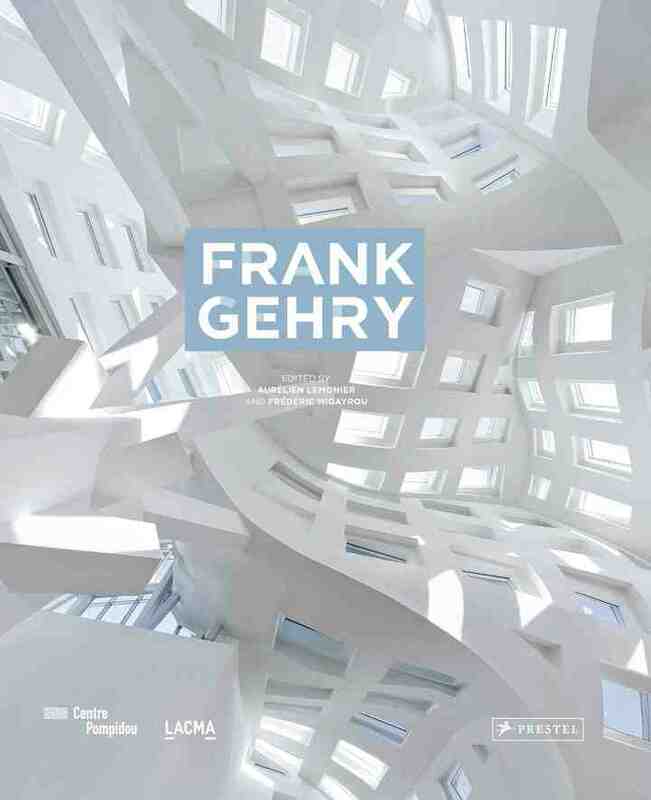 The result is a view of Gehry that is deeply informed if always admiring — and one that is given plenty of room to unfurl, with space at the close of the show for a number of the oversized models that he and his design partners rely on, a major omission in Paris. But Gehry has tried and tried again to build them bigger, as at the Atlantic Yards project in Brooklyn, represented by an enormous model in the exhibition (Gehry's proposal for the development was ultimately scrapped). In enlarging his idea of difference, Gehry seems to lose the small, material-based touches that make his early work endearing in its awkwardness. And when you go big, you tend to lose touch with the street. What would Gehry have done at the ground level in Brooklyn? We'll never know, and so his ability to design space between the skyscraper and the house is still an enormous question mark. 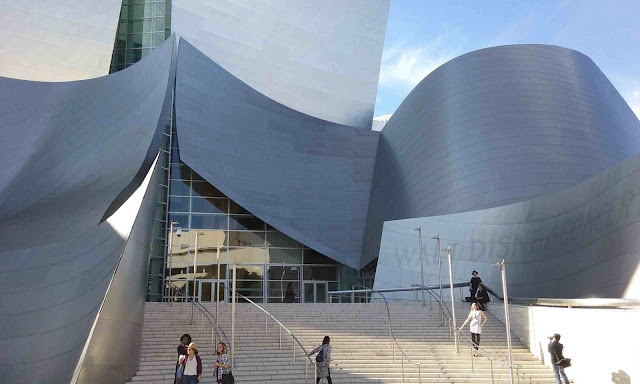 I took a photo of his much lauded Disney Concert Hall in Downtown Los Angeles.